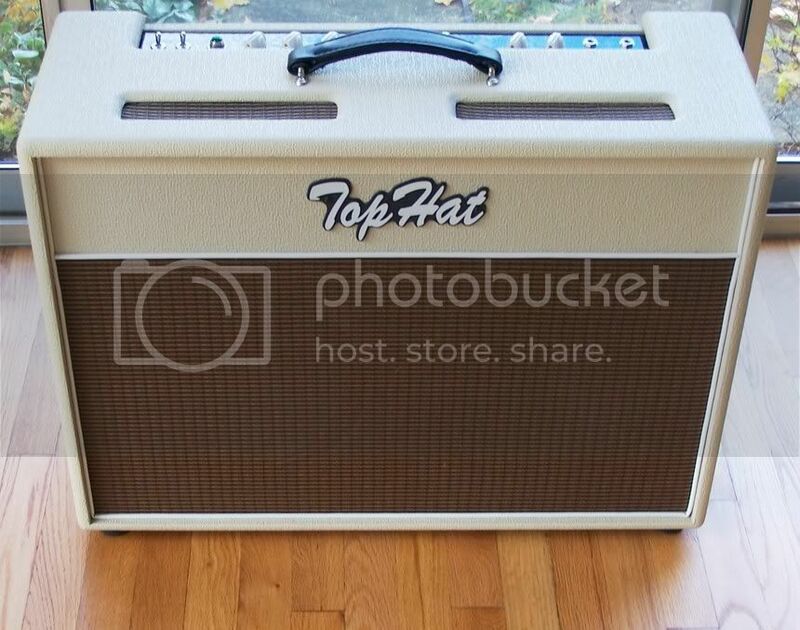 Weight of your Top Hat amplifier and your opinions! Discussion in 'Amps and Cabs' started by LoopyBullet, Apr 26, 2016. 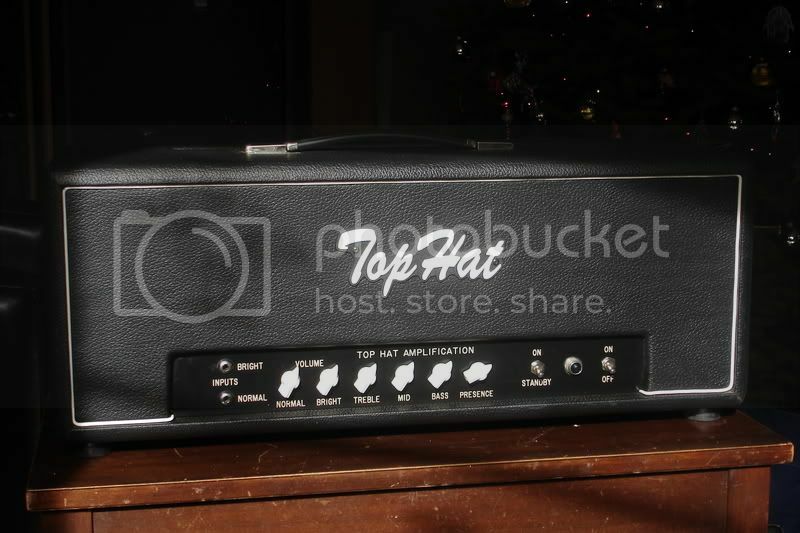 To any and all people with a Top Hat amplifier: What model do you have, and how much does it weigh? Also, how do you like it? Some background - I'm curious about all of TGP members' Top Hat amps, but specifically...I'm looking at getting a Top Hat Club Royale. The Vox AC15 Handwired is DAMN heavy, so that's a no go. I was thinking about Morgan amplifiers, but bit turned off by how Morgan has treated some of its customers (I've been down the "boutique" road before with builders having bad communication and am not looking to revisit any great builders with less than adequate business practices). Am I barking up the wrong tree by looking at Top Hat? I've owned a number of Top Hats.. The older 1/12 club deluxe and club Royale amps were very light.. The 2/12 combos, no....those Vox AC15's are ridiculously heavy! I have a 2001 Emplexador 50w head (aka "Block" logo era). Not sure how much it weighs. It's got some weight to it but, nothing over bearing. Truly fantastic amp, IMO. It's the best non-Marshall "Marshall" amp I've ever heard or played. Fantastic customer service too. I can't recommend Top Hat enough. I had a 2002 (I think) Club Royale 112 combo for a few years. It wasn't terribly heavy; noticeably lighter than my current AC15CC1. Man, I miss that Top Hat. What a great amp that was. My CR is a lot lighter than my ac15. A lot. I had a 1x12 Club Deluxe - it was very light. 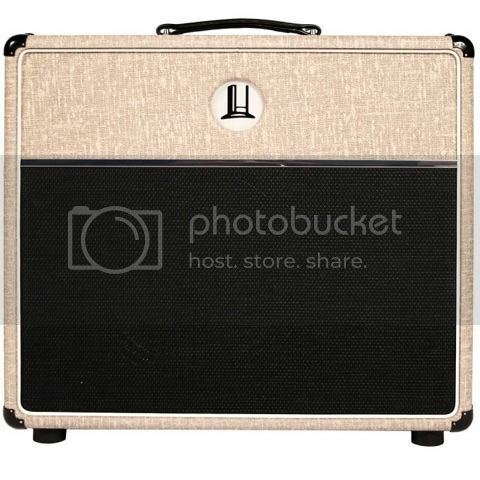 I had a 2x12 Ambassador--it was very heavy. Both awesome amps. 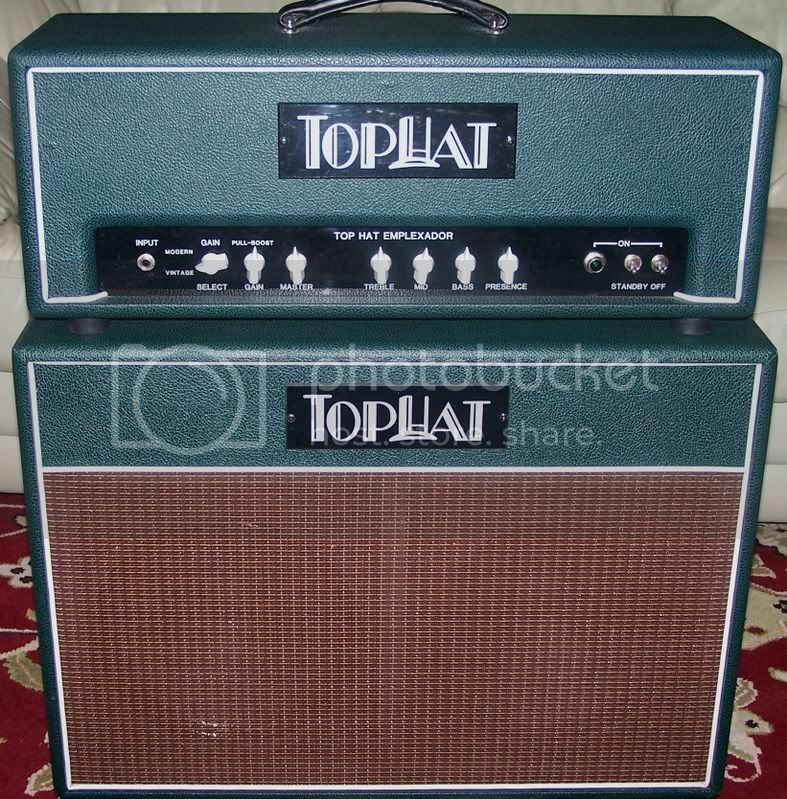 My first Top Hat was a 2004 Club Deluxe 112 combo. I wouldn't say it was super heavy but I wouldn't have called it light weight either. I have pretty much abandoned tube combos for that reason. My Top Vanderbilt head weighs 28 lbs and my Emplexador head weighs 38 lbs. I would just call Brian at Top Hat and ask. The Vandy is basically a tweaked Club Deluxe in a head format. Factor in the 10 lb speaker and the extra wood it's probably around 40+ lbs for the Club Royale. I have a 2011 Super 33 1x12 combo. It's a very nice amp, great tones, great build quality, loud, sort of a Vox/Marshall hybrid. It's probably an average weight for an amp in its class. Having said that, in my opinion, it is heavy. My bathroom scale, which admittedly is probably not accurate, reads 47.7 pounds. I'd say it's at least that -- around 50 lbs. sounds about right. It's not back breaking, but it's not something you'd call light--it's a portly box. It uses birch ply, and it's a deeper open back combo than most. I think Brian went to those deeper cabs around 2010. The design makes it sound a lot bigger than a typical 1X12. If you're looking for lighter combos, you'd probably need one with a pine cab, like Carr, Swart, etc. Or you could shave off some weight with a neo speaker, I suppose. I will say that I don't know if the Club Royale uses the same cab, and I don't know how much it weighs. Checking in with TopHat would probably be your best bet. As far as service, my impression is that Brian is a straight shooter, who's very passionate about his amps. He'll take care of you. I also think he prefers phone communication. Lots of choices these days, but Brian's amps are great -- simple, old school, good quality. 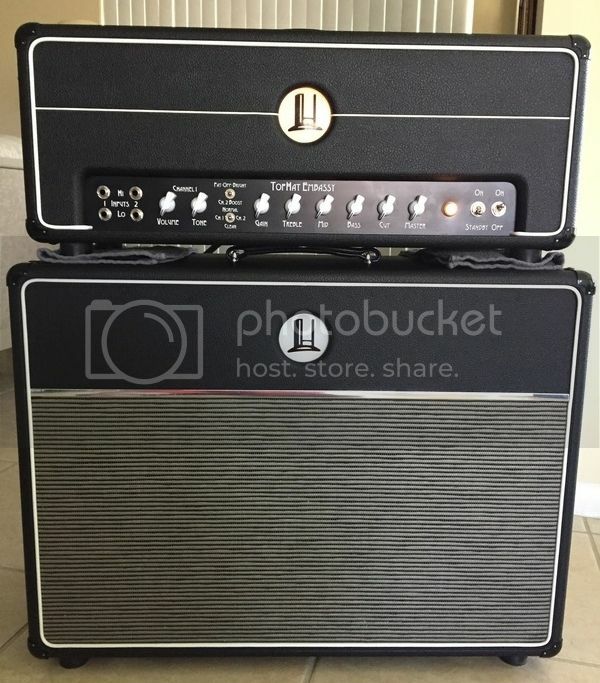 Had a 2x12 King royale, about the best amp I've owned but was north of 70lbs. Had a club royale 2x12 , was 40+ not too bad, another great sounding amp. Any top hat will deliver in spades, amazing amps! Not mine exactly, but I had the same model. About the same weight as a Marshall 50W. I've been playing TopHats since 1998, and the Club Royale I have in the oven is the 14th or 15th 'Hat I'll have bought (I've lost count; amongst the 'Hats I've had are 7 Club Royales -- just GREAT amps -- I gigged with them for 7 straight years). Brian Gerhard is a brilliant amp builder and designer. Apex. Nobody - and I do mean nobody - I would rather have build an amp for me. He has been in the business more than 20 years - had even worked on various D*mbles for some pretty heavy players going back 20 years (which nobody even knows about the guy) - is a walking encyclopedia of amp circuits and can talk for literally hours about resistor and cap values/sizes, how sound waves travel through various stages of the preamp, the physical paper that early Celestion speakers were made from versus current materials, etc. I dig the $hit out of all the 'Hats I have owned. But my one-off Embassy is just a monstrous sounding rig - especially with one of my Lentz Strats going through it. Brian has sold enough amps that he basically builds when/what he wants at this point in his career. He is back to being a one-man shop; and on my Embassy, there isn't even a tag board in site. It's all terminal strip and pure point-to-point, built by the man himself. Weights of the amps? You get big tone with big iron - which is why the King, Emplex and Embassy sound the way they do. Big iron isn't light - but it's well worth the weight. The 2x12 CR will be the lightest 'Hat I own, once it's complete. GrungeMan and sickboy79 like this. Two things you will get from Brian at TopHat: 1. A fabulous amp, and 2. Fabulous customer service. My guess is just north of 40 lbs for a Club Royale 1x12 combo. Blunder and Teleplayer like this. The Royale amps are so sweet. Everything TopHat makes is but whatever you get in extra weight is well worth it. I recently griped in a Mark V thread about how guys were avoiding easily superior amps over like an extra 10 lbs of weight. I just don't get that. The old Club Deluxe, before they went to the deeper cabinet weighs about the same as a Silverface Princeton. Agree. Brian's customer service is crazy-great. And if you catch him when he has some free time, you'll get an education in amp circuits of all kinds. I asked Brian on the TopHat Facebook page last year and he guessed 47. A member there weighed theirs via bathroom scale and it was 43. I happened on this old thread. I love this combination of tele/Top Hat. I don't think I could even use a tele full time with another amp. I've had this one since I bought it new in '06 and have only plugged into a different amp about 3 times since then. King Royals I had where very heavy combos but great tone, and Brian is great on customer service.